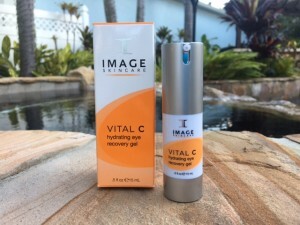 Image Skincare Vital C Review - Why it's their Best Selling Line! This review was written after using Image Skincare Vital C for 2 months. Who knew I’d fall in love and still being using it years later! If you’re not familiar with the Image Skincare, it may be because until about 2016 you could only purchase their products from a spa, high end salon, or Dr.’s office. 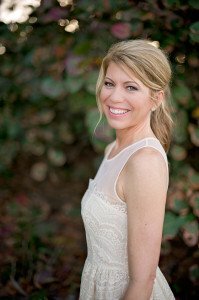 I got lucky on this one since my sister Katie McCaskill Beauty on Location happens to be a licensed esthetician and licensed cosmetologist and she was trained on Image Skincare at the Palm Beach Academy of Health & Beauty. 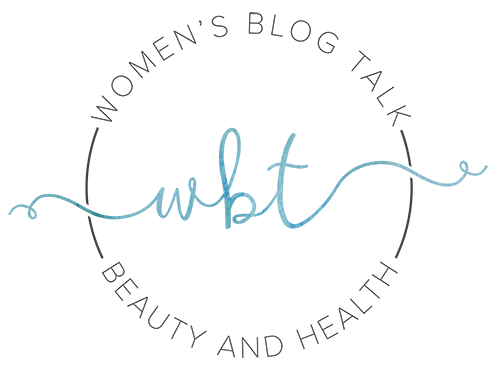 Image Skincare is an innovative brand based out of West Palm Beach, Florida providing professional skincare with a higher concentration of active ingredients, and all of their skin care is paraben-free! 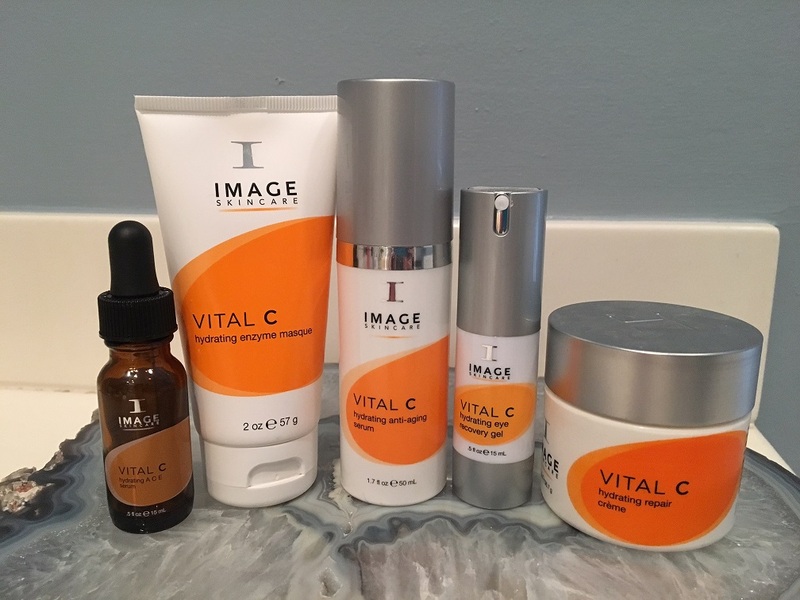 The Image Skincare Vital C lineup is absolutely fabulous! There hasn’t been a Vital C product that I’ve tried that I haven’t loved, but I do have my faves! 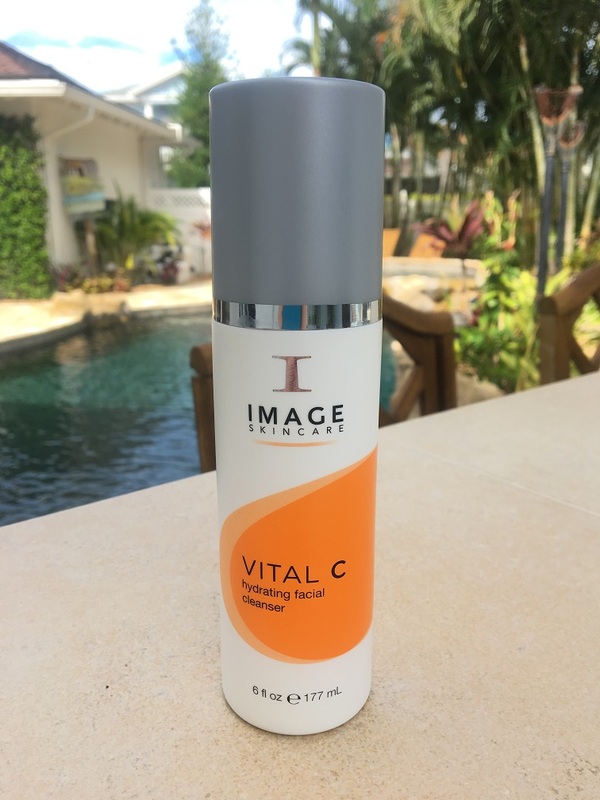 My sister primarily recommended Image Skincare Vital C for me as my skin is sensitive, dry, and I also have a lot of pinkness in my skin. 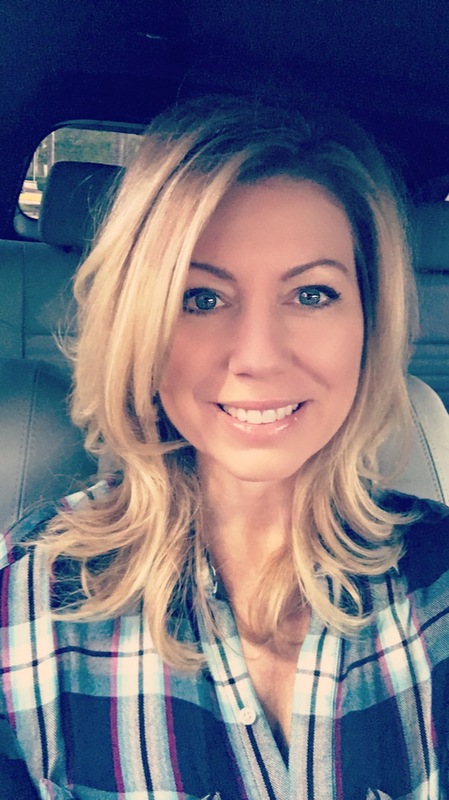 Although I don’t have rosacea, I do have rosacea of the eyes, and apparently when you have this condition, you can develop facial rosacea (oh joy!). I also spend a lot of time in the sun playing beach volleyball so I’m always in a cycle of both sun prevention (tons of SPF! ), exfoliating away all the gunk and sunscreen, re-hydrating my skin, and trying to repair any sun damage I may have incurred (dark spots). I also wanted something soothing since I had just tried micro-dermabrasion for the first time. This is a deep exfoliation where they use a diamond-crystal tip attached to a vacuum to exfoliate and remove the dead top layer of facial skin. So that left me a little pink. During my eight week trial, I mainly used the Image Skincare The Max Cleanser, it’s gentle on post treatment skin (and I didn’t yet have the Vital C Cleanser). As my skin healed (but not before the 4 week mark), I also tried the Ageless Total Facial Cleanser with glycolic which exfoliates really nicely – but you definitely don’t want to use this on post treatment skin since it contains AHA’s! 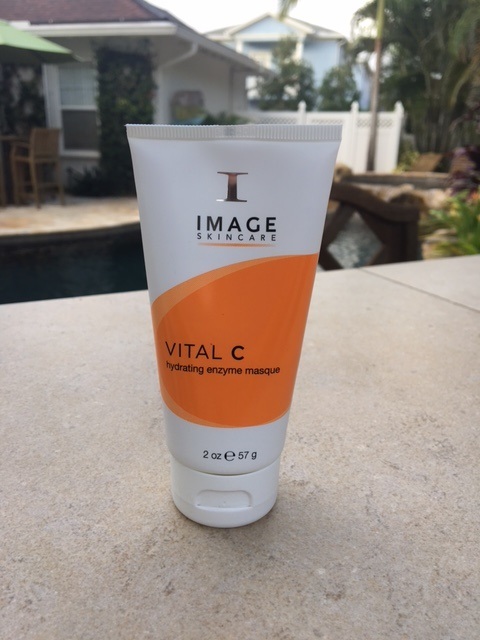 Just as its name might imply, the Image Skincare Vital C Skin Care line boasts a yummy citrus scent and is packed full of antioxidants. The Vital C line is made for all skin types, dry/dehydrated, sensitive/rosacea, sun damaged/sun burned, oily/acne, Eczema, and post treatment skin. The Vital C line contains a rich blend of natural botanicals, is high in antioxidants for ultimate skin nutrition and protection, and creates a soothing and healthy way to improve skin. I was lucky enough to eventually try all 8 of the Vital C line products, so here we go! I have to say up front – the Vital C Hydrating Serum is my absolute FAVORITE product in the Vital C line! This alone would be a fantastic addition to just about anyone’s skin care routine! A serum is where you’re going to find the most concentrated ingredients, so you don’t want to skip this step! 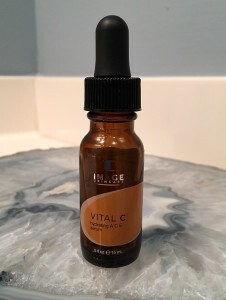 The Vital C Hydrating Serum feels more like a silky lotion, which surprised me at first as most serums are more liquid-y. It’s a concentrated serum that contains a 15% blend of oil soluble Vitamin C enabling the highest bio-availability to immediately sooth the visible effects of environmentally damaged skin. Its formula also contains Vitamins A and E, hyaluronic acid and green tea + meadowsweet which are both anti-inflammatories. 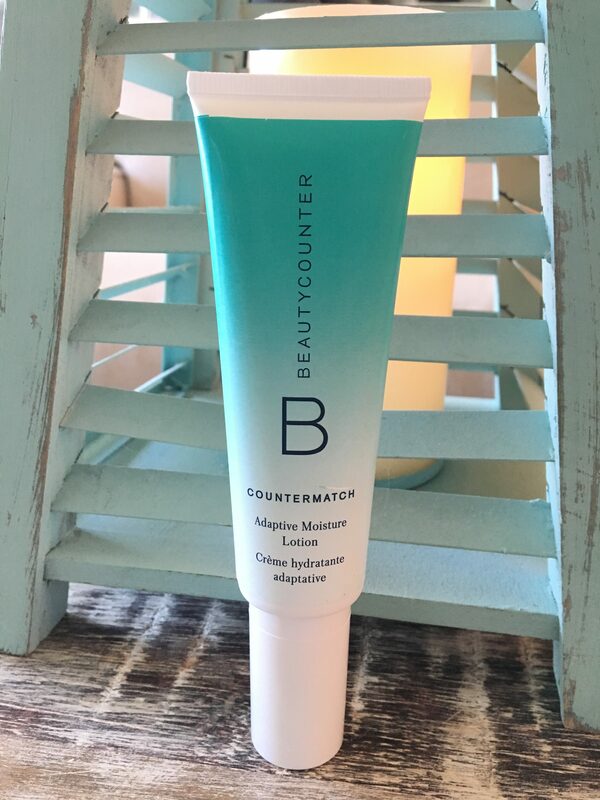 I used this directly after having microdermabrasion (as an example of post treatment skin) and it was wonderfully soothing to my red, irritated skin, and it gave me the moisture I needed. The Vital C Hydrating Angi-Aging Serum feels amazing. I love that it comes in a pump so the ingredients remain stable and I love the scent – it smells like fresh squeezed orange juice. Any redness I would have in my skin would calm down pretty quickly after using this serum. It hydrated my skin so well that it made me feel like I didn’t even need a separate moisturizer. The Vital C Hydrating ACE Serum is more of a traditional serum – a liquid you dispense with a dropper. I love that it comes in a dark bottle to keep the sunlight from degrading the ingredients. The ACE serum boasts an advanced polypeptide/antioxidant formula and a 20% blend of Vitamins, A, C and E to promote hydration and reduce the signs of aging. It also contains anti-inflammatory green tea + meadowsweet. I am absolutely in love with this serum, my only complaint is that I blew through it so quickly! During my trial, I alternated using the Hydrating Serum at night and the ACE Serum during the day, so that I could try both. The ACE Serum is more liquidy, so it seems to absorb more quickly and it definitely feels “lighter.” It is immediately hydrating, soothing and feels amazing on the skin. You can feel the anti-inflammatory properties working right away and it also has a light scent. The ACE Serum doesn’t leave your skin feeling quite as “moisturized” as the Anti-Aging Serum, so if your skin is more dry, you may like the Hydrating Serum better, or layer them for an intense night time skin treatment. The Vital C Hydrating Repair Crème is an ultra-hydrating anti-oxidant moisturizer that repairs the skin. It contains Vitamins A, C, and E to nourish and protect the skin for daily anti-aging benefits while promoting cell renewal. The consistency of the Vital C Crème is just what you’d expect – it has a rich emollient formula that will quench the thirst of dry, dehydrated skin. 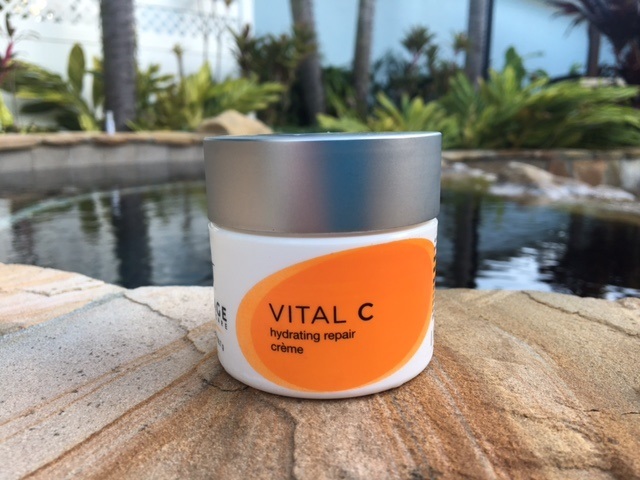 Like the other Vital C products, the Hydrating Repair Cream has a light, fresh, citrus-y scent, very similar to the Anti-Aging Serum – so yummy! After cleansing my face, I would apply one of the two Vital C serums, wait a few minutes, then apply the cream. It’s a fantastic combination if you need hydration, repair, or wish to reduce redness. The Vital C line, used in combination, never left me feeling greasy. It absorbs very well and leaves your skin feeling smooth, fresh-faced and perky! This is a rich cream however, so if you have very oily skin, or more aged skin, you may want to try the Image Ageless line, which includes glycolic acid and retinol, or the Clear Cell line with salicylic acid for acne prone skin. I also want to add that I’ve also been using the Iluma Intense Brightening Cream. Since I do have some dark spots I’m constantly battling, I wanted to also give my skin some lightening ingredients. The Iluma is not as hydrating, so if dryness or rosacea is your issue, stick to the Vital C line. If your main complaint is age spots or hyper-pigmentation, you may want to use the entire Iluma line over the Vital C, but both will lighten the skin. As the name describes, this is a gel vs. a cream for the entire eye area, and is extremely soothing and gentle. This little gem is a super-hydrating, anti-aging eye gel with a nourishing blend of antioxidants and peptides that reduces the appearance of fine lines, wrinkles, dark circles, puffiness, and perks up tired eyes. Th eye gel has a lighter, sweet scent that’s barely there, which I like in an eye treatment. I have extremely sensitive eyes, in fact as I mentioned before, I actually have rosacea/blepharitis of the eye so I have to be really careful what I put around my eye area. I had no issues using the Vital C Eye Gel both underneath my eyes and on the top of my eyelids, it’s very soothing and non-irritating. It does feel a bit tacky at first (most gels do), but it does absorb and that sticky feeling diminishes. I usually go back and add a second tiny pat underneath my eyes after finishing my makeup just to give myself a little added moisture to those pesky fine lines – it seems to help. To be honest, I prefer the Image Skincare Iluma Intense Brightening Eye Cream over the Vital C Hydrating Recovery Gel. It just has a more creamy consistency that feels better on my eyelids. I feel so spoiled, because I do use both depending on how my skin is feeling. After volleyball when I’m feeling especially dry, I tend to use the Vital C Hydrating eye gel, but for day or nighttime use under makeup, I use the Iluma. Ahhh! The Vital C Hydrating Enzyme Masque is definitely one of my favorite Vital C products! Right after my microdermabrasion, I needed moisture, pampering, and to sooth my redness. The Vital C Hydrating Enzyme Masque was just what I needed. Indications for use are for dry, dehydrated, or post treatment skin. You apply this mask liberally onto cleansed skin and leave for 5-30 minutes – I always leave it on for the full 30 minutes. This is a hydrating mask that gently exfoliates the build up of dull, dry skin with nourishing Vitamins A, C, and E promoting more healthy, radiant skin. The feel of this mask is luxurious and it has the same, yummy, fresh orange scent as the other Vital C products. It has the consistency of a lotion and it remains soft on your face (doesn’t harden like some masks). Sometimes I like to take a bath and just soak while I have this mask on. My skin always feels moisturized, plump and just radiant looking after one use. UPDATE – 3 MORE VITAL C PRODUCTS TESTED! I couldn’t stop with 5 products, so had to try the entire line, plus the new body lotion, so here are three more reviews of 3 amazing products in the Vital C line! I’m in love with this cleanser – it leaves my skin incredibly soft and plump! The Vital C Hydrating Facial Cleanser feels like a lotion and pampers your skin like lotion, but it gently cleanses and removes makeup and impurities without stripping the skin of essential moisture. 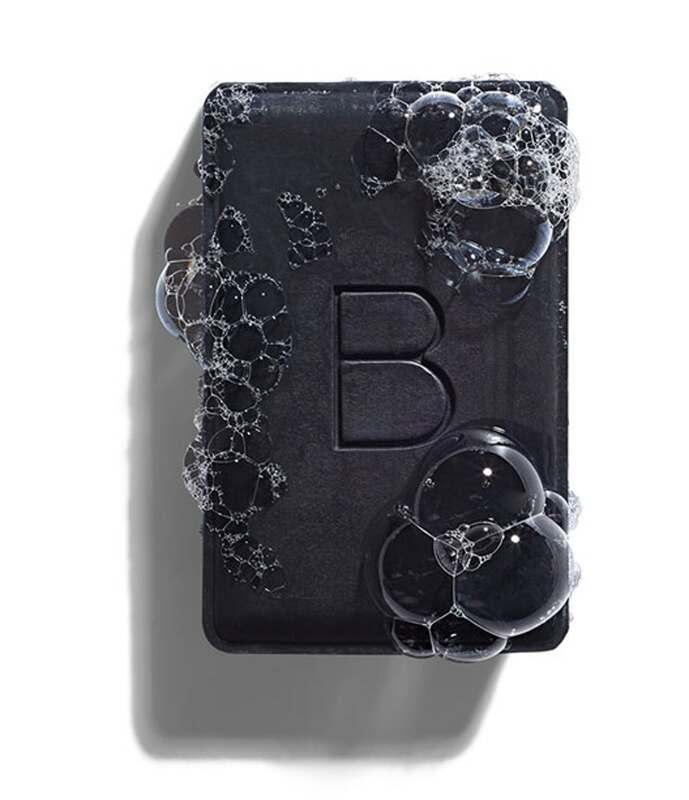 It contains a potent (15%), pharmaceutical-grade level of Vitamin C, peptides, hyaluronic acid, and other anti-inflammatory and lightening ingredients. You can use this cleanser on your face and body, and it’s excellent for shaving sensitive skin. I love using this cleanser both day and night and I can even use it on my eyes to remove eye makeup (it doesn’t bother my sensitive eyes). Smells and feels fantastic and my dry skin loves this stuff! I definitely noticed an improvement to the overall softness and plumpness to my skin using it regularly. Since I already knew I loved the Vital C Hydrating Repair Crème, I wanted to know what was different about the Vital C Hydrating Intense Moisturizer so I decided to give it a try. This is an ultra-hydrating creme that replenishes moisture for all day smoothness and hydration. If you need extra hydration or have dry/dehydrated, sensitive skin – THIS is a miracle worker. Tons of Vitamin C, hylauronic acid (binding 1000x its weight in water), peptides and packed with anti-oxidants like resveratrol (grape seed extract which lightens). 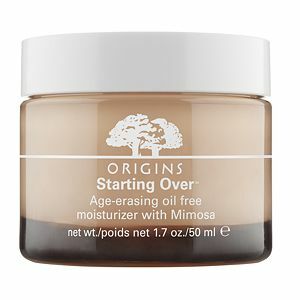 I’ve ordered this moisturizer twice now – I absolutely love it. It keeps my skin hydrated all day long and gives my skin a velvety smooth finish. The Vital C Hydrating Intense Moisturizer is more rich and creamy than the tub cream, and actually has a completely different feel, a thicker more “protective” feeling, creating a moisture barrier from the outside elements. I love traveling with it because the pump takes up less room than the tub and keeps the ingredients fresh and bacteria out! Finally! 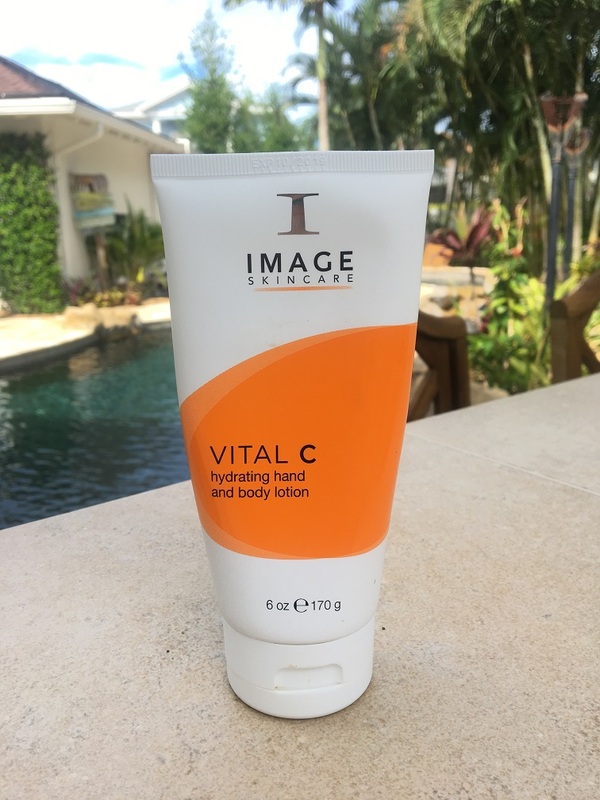 I’ve been waiting for Image to come out with a body lotion that smelled as good as all the other Vital C products, and they’ve captured it perfectly in this lotion! They’ve exceeded my expectations with this one. I’m picky about a body lotion because I don’t like any lingering sticky feeling and I don’t like anything overly fragrant or perfumy. It has a perfectly light, lovely citrus scent and absorbs nicely to leave your skin perfectly hydrated. It’s works well to repair dry, damaged skin and is packed with all the anti-aging goodness as the rest of the line. The Vital C Hydrating Hand and Body Lotion is made with a unique blend of four potent forms of Vitamin C and plant stem cells and clinically proven to improve hydration by 40%. I use this on my legs everyday and my once dry “alligator” skin is a thing of the past. It’s really helped to improve the overall texture and tone of my legs. I also love using it on arms and hands before bedtime. Until recently, Image Skincare was sold exclusively in spas, salons and medical offices in over 40 countries all over the world, but now you can buy certain products, including the Vital C line, directly from the manufacturer from the Image Skincare Website. Image warns right on their website DO NOT BUY ON AMAZON OR EBAY because there have been reports of fakes….yes China does an amazing job of making packaging look identical – but I can assure you it’s not the same ingredients! t’s always better to order directly from the manufacturer for a number of reasons, authenticity and return policy being two major reasons. You can also use their locator map to find a spa or salon who carries it, or to receive a special Image Skincare treatment such as a stronger glycolic or lightening peel. 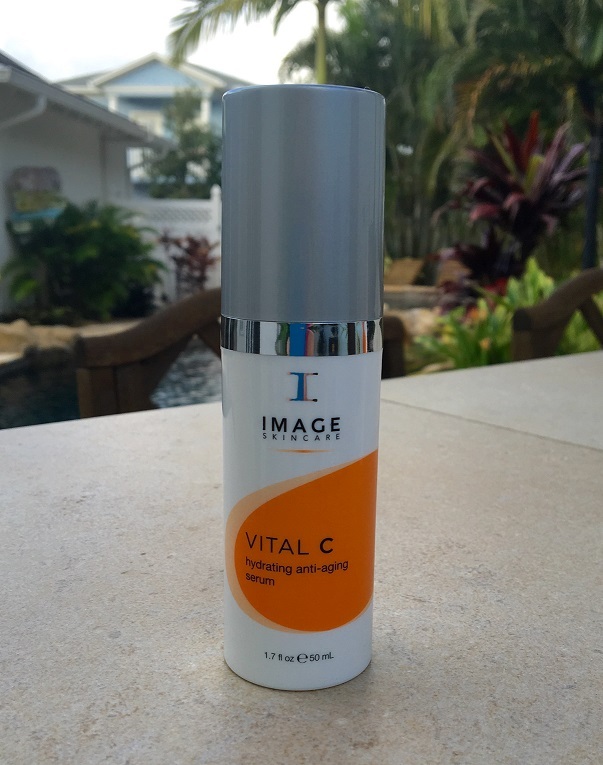 How Much is the Image Skincare Vital C Line? If it’s not obvious already, I love the Image Skincare Vital C line of products! It doesn’t surprise me it’s their most popular line. The Vital C products calm the redness in my skin and give me the proper hydration to replenish, nourish, protect and repair. Having used basically their entire line up for over 8 weeks now, I have seen an improvement in my skin. It’s not as dry and irritated overall, and my cheeks have a more even skin tone with fewer fine lines. 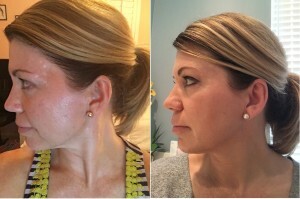 The picture here shows my skin, red, inflamed and dry, the day of microdermabrasion (left). The after picture (on the right) was taken about two weeks after starting the Image Skincare Vital C line (sprinkled in with the other products I mentioned). It’s different lighting I know….but you can still see the improvement. 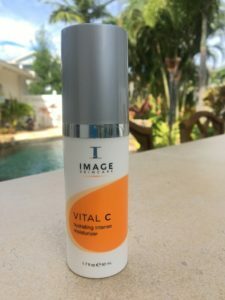 I hope you enjoyed my Image Skincare Vital C review! Want to Read More Image Skincare Reviews? Check These Out! Hello I just wanted to comment on the Image balance and brighten products. I have been using this product for 6 weeks and have not seen any signs of improvement. My skin has had more breakouts than ever I thought this was going to be my skin saviour!!! Very disappointed had high hopes for Image! Great review. I’m trying to decide between this and the ageless line and can’t figure out which to get. I have the ageless cleanser and I do like that. Thank you SO much for the help! I really appreciate it!! I also saw these products on the Walmart website. The products could not be fake especially when that could be a big lawsuit for them. Some of the products are featured on there you guys should check it out. the ingredients match up. Love Vital C line! Great review Rachel, you are spot on with this one.